A ship flying US colors and inspired by US president Barack Obama's book "Audacity of Hope" will be joining this year's Freedom Flotilla 2. 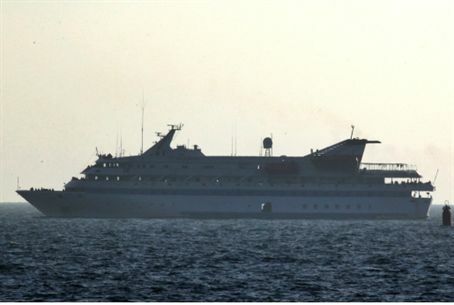 A ship flying US colors and carrying 34 passengers is set to joint this year's Gaza-bound, IHH-sponsored “Freedom Flotilla 2” in June, the New York Times reported. “We must raise at least $370,000 in the next month,” a statement on US Boat to Gaza’s Web site read indicating it doesn't have the money needed to sail yet. Sen. John McCain, Obama’s opponent during the campaign, portrayed Khalidi as a Hamas sympathizer. Khalidi’s involvement in organizing a US boat for the flotilla project has gained significant attention from conservative bloggers and media personalities in America. While Khalidi will help raise money for the initiative, he said he does not plan to sail on the ship. Khalidi wrote in an e-mail over the weekend that while he had not known that Obama’s book would be the inspiration for the ship’s name when he signed on as a sponsor, he does not view it as a potential embarrassment for Obama. “If the name is a problem for the administration it can simply insist publicly that Israel lift the siege: end of problem, end of embarrassment,” Khalidi wrote in the e-mail . “That of course would require it to respond to the systematic mendacity of those in Congress and elsewhere who support the siege, and indeed whatever else the Israeli government does,” Khalidi said.